Recently Gothamist posted an aerial picture tweeted by BPC, with the question "Bryant Park Movies: More Crowded Than Ever?" Probably! But it just means more people having a good time. 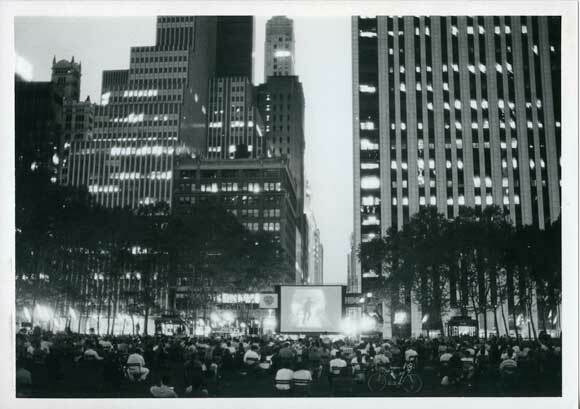 Let's take a look back to the first film, screened in 1993, one year following the park's reopening in 1992 after a massive renovation. 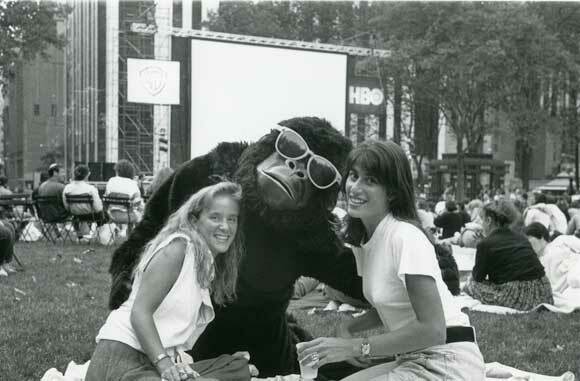 In celebration of its 60th Birthday, King Kong was screened in the park. The film's star even stopped by and made some friends on the lawn. 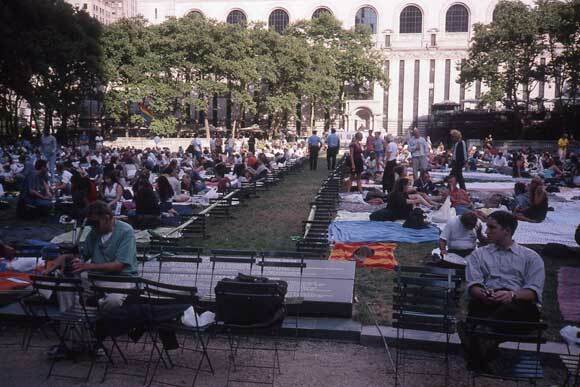 In the years since, we experimented with opening the lawn at various times of the day before showtime, in order to take optimal care of both lawn and moviegoers, and in 2001, a center aisle. 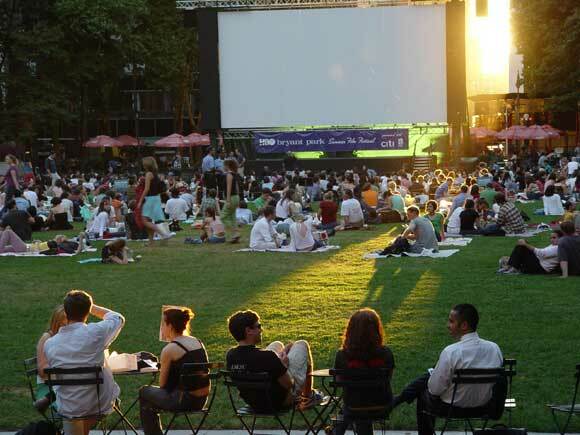 Early moviegoers enjoy a sunset before the 2004 screening of Alfred Hitchcock's Dial M for Murder. 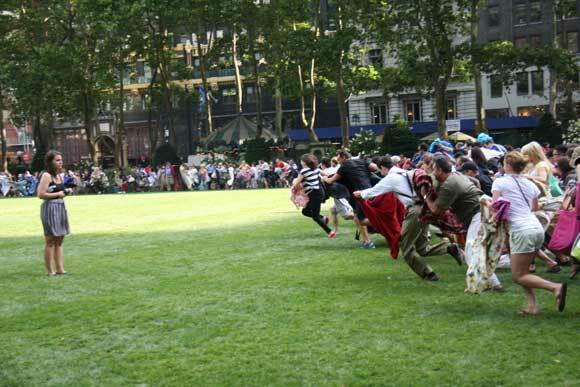 At last week's inaugural screening of One Flew Over the Cuckoos Nest, staffer and Bryant Park blogger Kati holds her ground while people "run the lawn." You can do it again tonight for the screening of The 39 Steps. 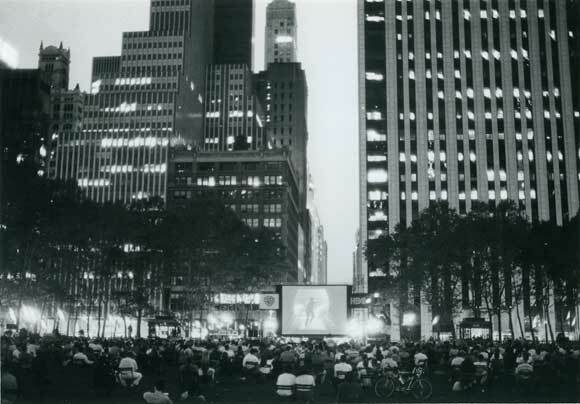 Check here for more information about Film Festival evenings in the park.